Covering June’s new drops, restocks, and promising auctions, Something Curated has compiled a list of ten of the most coveted items available for purchase this month, spanning art, fashion, home and more. 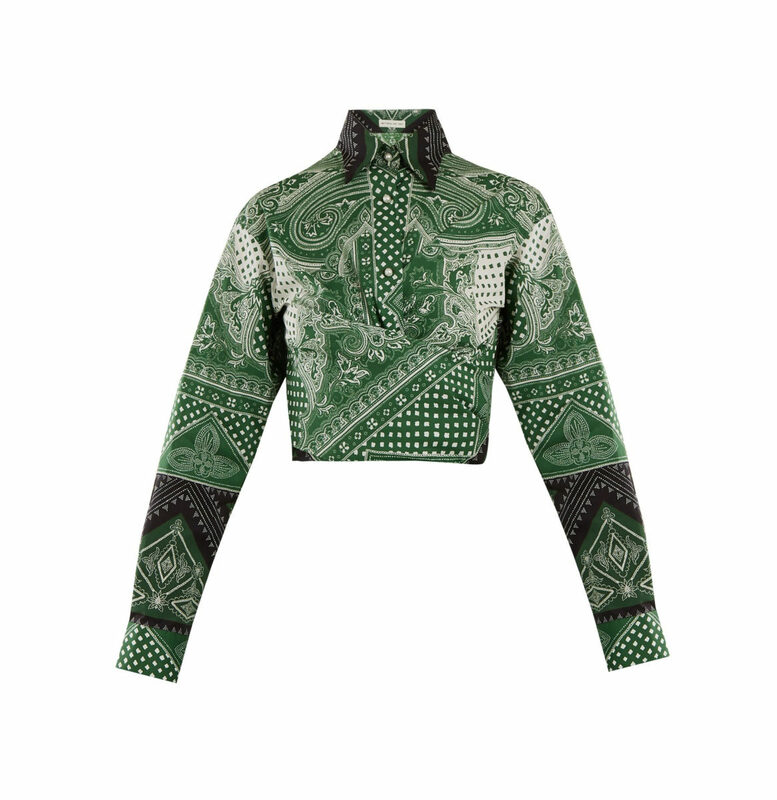 This moss-green, white and black Etro shirt debuted on the SS18 runway, as part of the Italian label’s vibrant 50th anniversary showcase. It’s made from a lightweight cotton blend with a graphic bandana print, which is positioned to subtly define the point collar and sleeves. Note the trio of faux-pearl buttons which meet a cropped wraparound waist. Available at MATCHESFASHION. 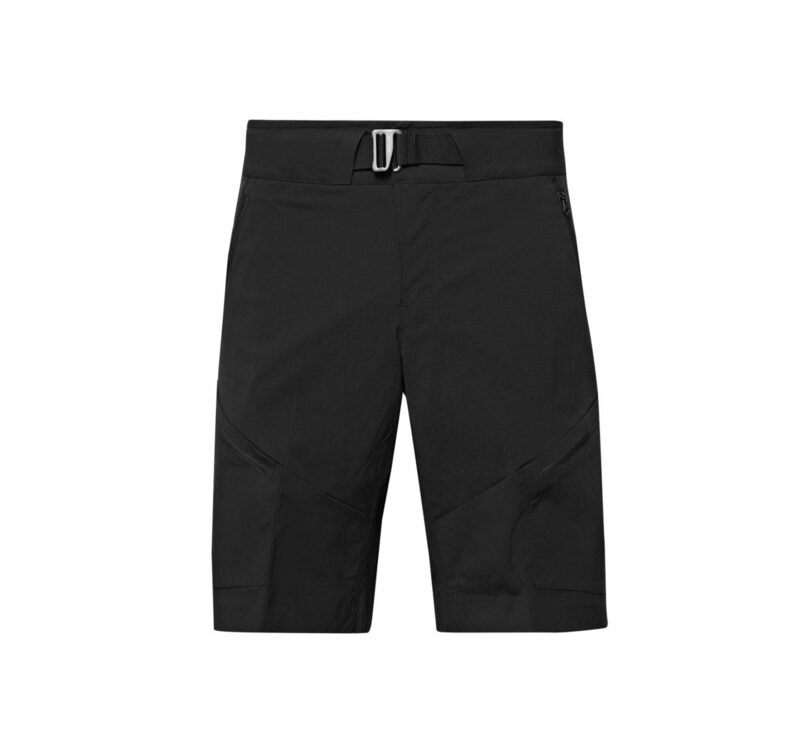 Cut from the stretch fabric, these ‘Palisade’ shorts are ergonomically designed to aid the body’s natural movements on shifting terrain. Zipped mesh pockets are gusseted for more efficient storage and strategically placed for easy access while on the move with a pack. The waistband is lined with moisture-wicking fleece to provide comfort under hipbelts, and the integrated belt ensures a secure fit, while the slim cut reduces excess bulk. Available at Mr Porter. Based on Paco’s original 1969 design, first made famous by Brigitte Bardot when she wore it in St. Tropez and more recently when the Design Museum named it as “one of the 50 bags that changed the world,” this is a reissue of the Le 69 bag by Paco Rabanne. 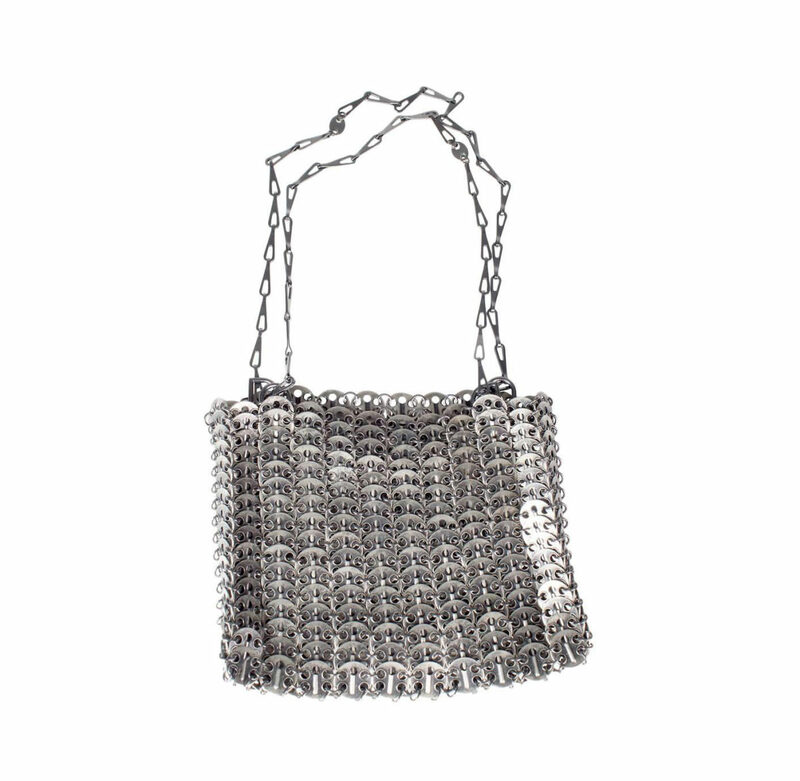 It is made from antique metal medallions fastened together by metal rings and with a tab chain link handle. Available at 1stdibs. Maison Margiela’s signature Tabi is reimagined here in a cut-out drawstring style. 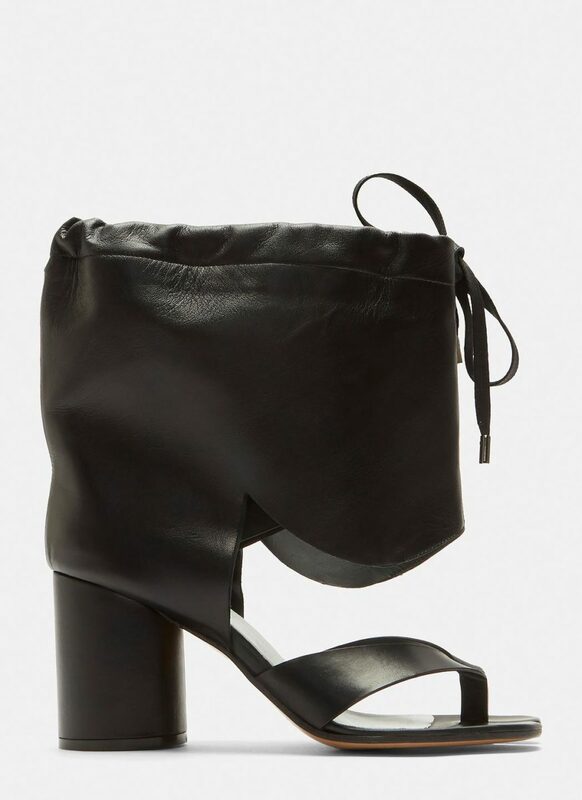 Crafted from supple grained leather in the classic squared cleft toe silhouette, the Drawstring Cut-Out Tabi Boots feature a drawstring collar fastening with curved cut-out and thong sandal construction. Available at LN-CC. 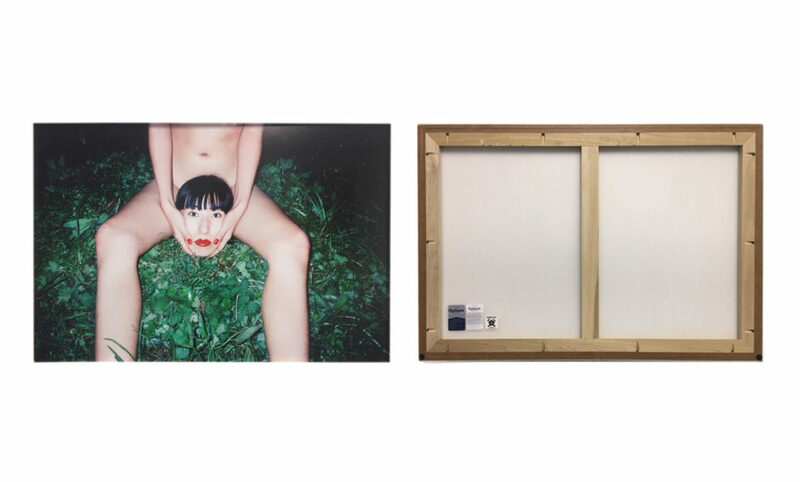 Beijing-based photographer and poet, Ren Hang’s work was carefully staged although it alludes to spontaneity and the snap shot. Ren’s photography portrays the ambiguity of the subject devoid of any sense of self. At times the work is exploitative and highly fetishistic, provoking an immediate emotional response; at other times it is abstract and minimalistic, inviting quiet contemplation. Available at Paddle8. 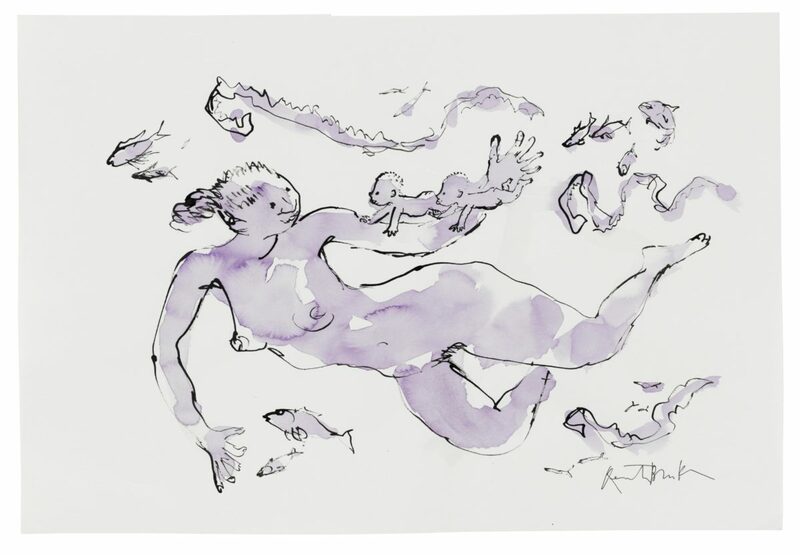 In a retrospective spanning 40 years, Quentin Blake has chosen from his personal collection a wealth of illustrations to be offered to benefit three charities: The House of Illustration, Roald Dahl’s Marvellous Children’s Charity and Survival International. An alternative version of Mother and babies underwater, in purple was originally created for the delivery room at the University Hospital in Angers. Available at Christie’s. 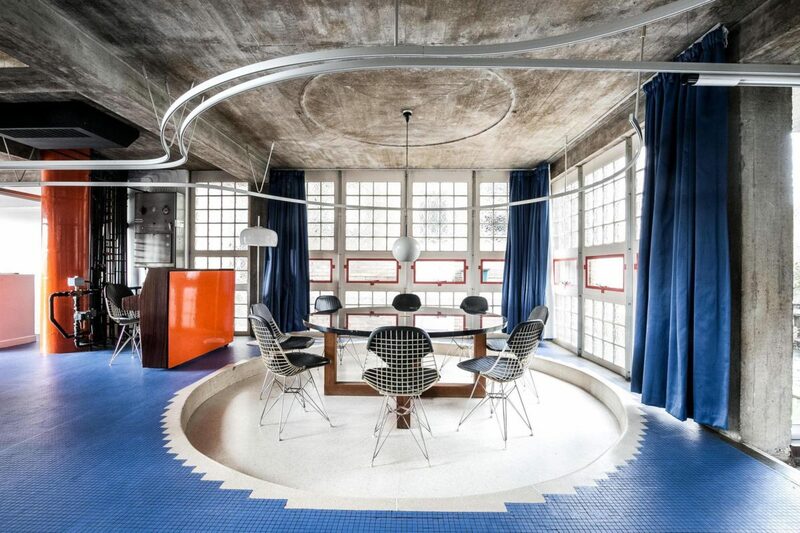 One of the great post-war Modern houses in London, Housden House was designed and built by architect Brian Housden for himself and his family between 1963-65. The concept is a clear demonstration of Housden’s understanding of pioneering European modernism, sharing many principles with the Rietveld Schröder House in Utrecht and Pierre Chareau’s Maison de Verre in Paris. Available at The Modern House. Unlike most production pottery, all BDDW ceramics are made from locally dug clay in Philadelphia. Screening and sifting all of their clay by hand leads to their wares having more variation than factory-produced ceramics made from off-the-shelf, pre-mixed clay. This unusual mug features a particularly eye-catching illustration. Available at BDDW. 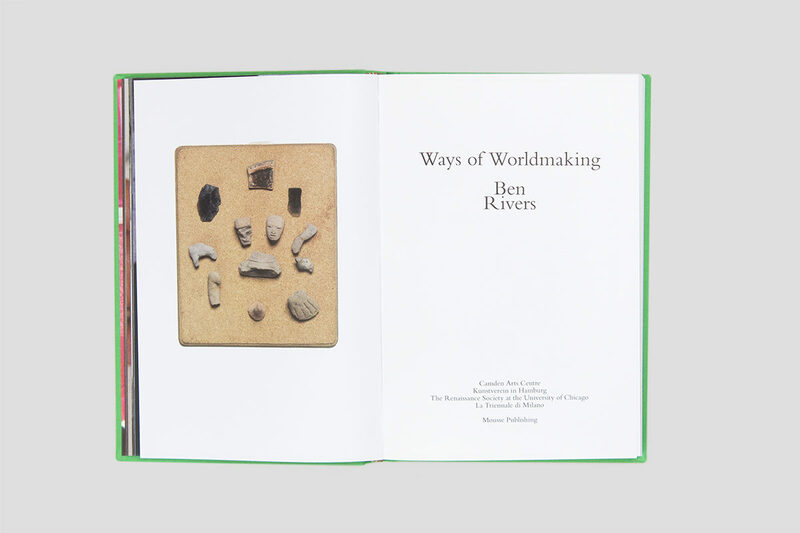 Ways of Worldmaking is the first comprehensive monograph on British experimental filmmaker Ben Rivers. Often following people who have in some way separated themselves from society, the raw film footage provides Rivers with a starting point for creating oblique narratives imagining alternative existences in marginal worlds. Available at Camden Arts Centre. Kitamura draws on more than 40 years of collaborative work with Miyake to create an encyclopedic reference of his material and technical innovations. 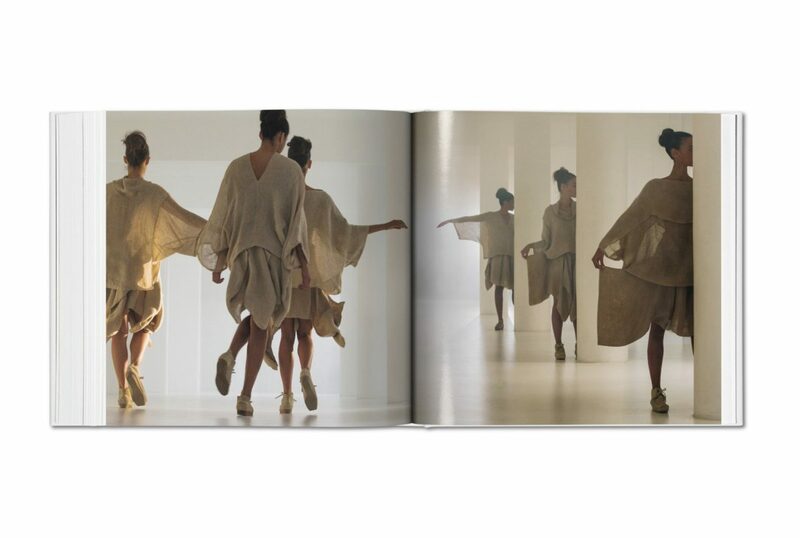 The volume bears witness not only to Miyake’s ongoing exploration of the relationship between a piece of cloth and the body, but also to his singular blend of tradition, futurism, and function. Available at TASCHEN.